Have you been to California’s wine country and walked through the vineyards? The jewelry of Tacori’s Sonoma Mist collection takes you there again, or for the first time. The delicate mixed metals and diamonds earrings, necklaces, bracelets, and rings were inspired by dew drops on grapes at dawn. The playful pieces are easy to wear. Details include milgrain crescents and wave-like accents. Choose from cascading earrings set with pave. Fashion-forward dome rings and bangles to wear alone or stack. Simple studs with stellar style. Pendant necklaces. And more, in bright sterling silver, sunny yellow gold or warm rose gold with diamonds. They glisten and gleam. They are classic and timeless. 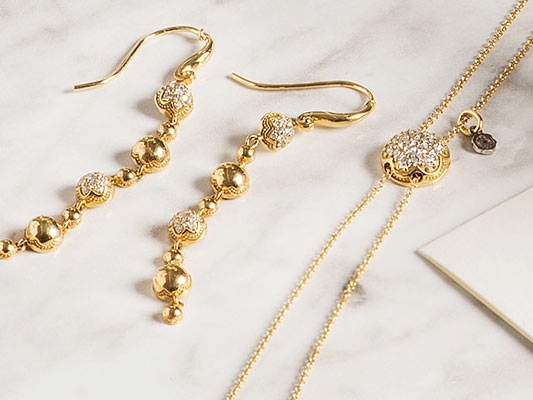 Sonoma Mist offers jewelry you’ll want to wear and keep wearing. It is an effortless style that makes a great, big impact. Take a trip to tranquility. Embark on a jewelry journey that is called Sonoma Mist now.